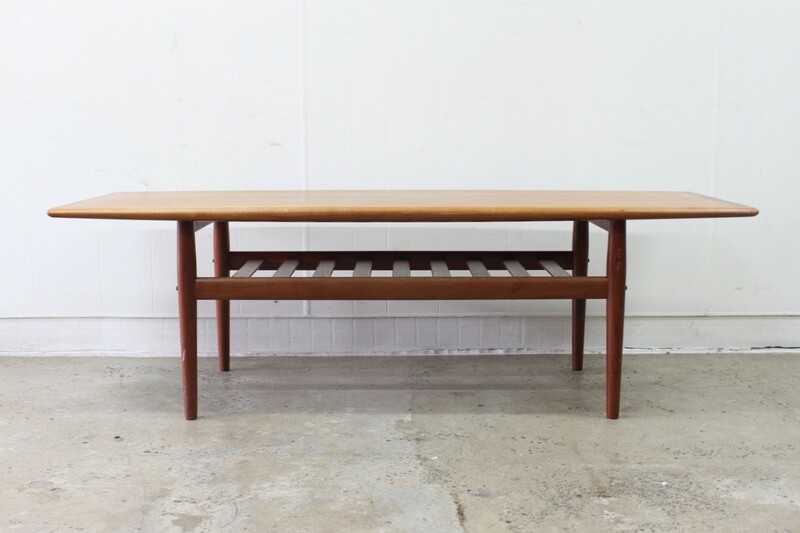 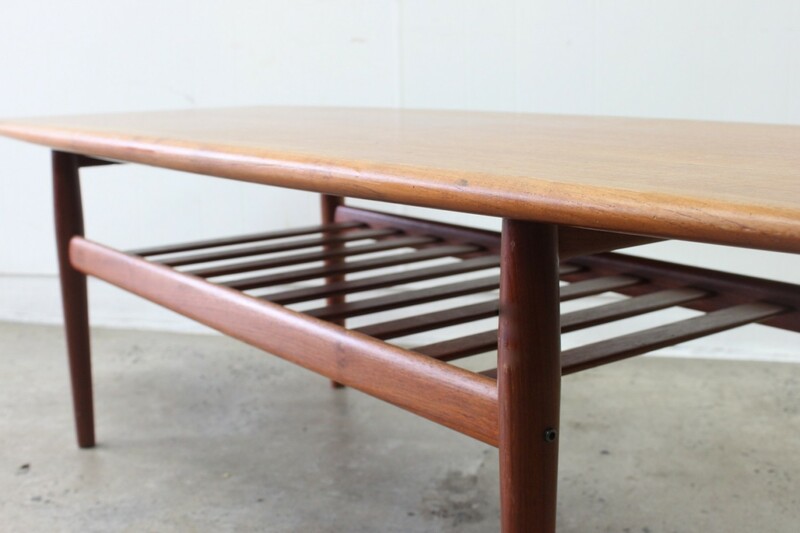 A large coffee table made of teak by Grete Jalk, it has had the top restored and in mint condition. 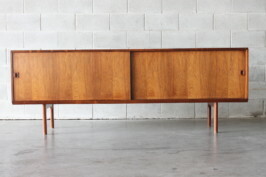 Features thick clashed edge and lower shelf. 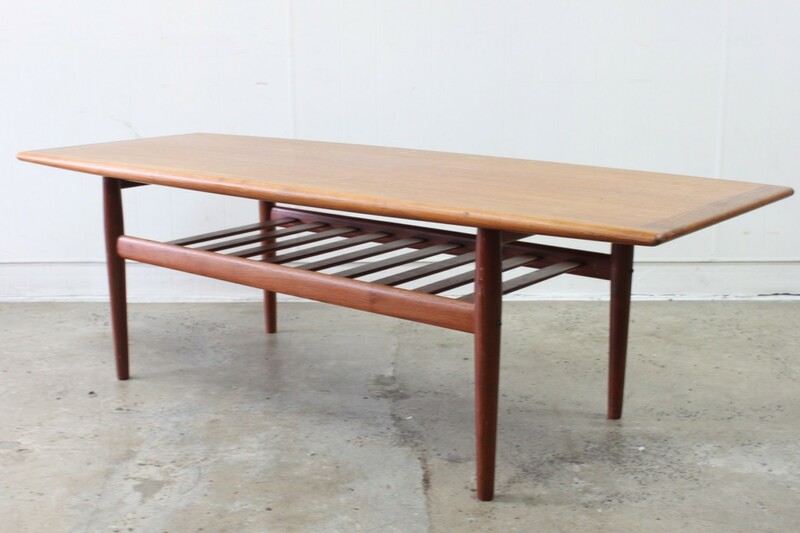 Excellent danish design and built to last a lifetime.